Nick has certainly been training and racing hard. 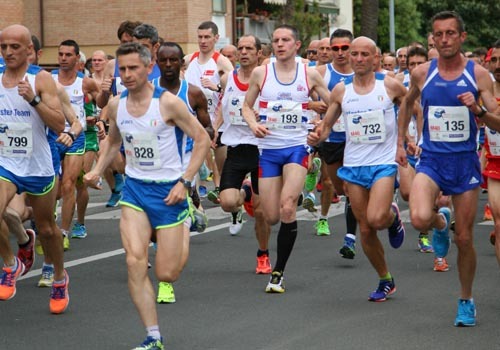 First up was an invitational meet to race the European Masters 10k, where he was first Brit home. Second was the transition into multisport racing at the Olympic open water venue. Here Nick entered a bunch of aquathlons which resulted in a podium positioning in each. 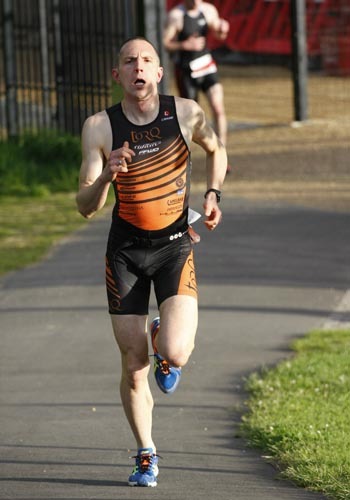 Moving into the triathlon Season properly and I’ve entered the Lee Valley Aquathlon Series. An opportunity to develop my open water swimming at the Olympic venue of the Lee Valley White Water centre (and home of the GB canoe squad). This series of 5 monthly aquathlons started 2 years ago and has grown from strength to strength – now attracting some superb swimmers. Fortunately the swim is followed by a 5.5km trail run along the Lee Valley River…..which gives me an opportunity to catch most of them up again! I have now competed in the first 2 races of the Series and finished 3rd on both occasions. I also won my Age Group on both occasions, so it’s all looking good for the Age Group titles on offer in a couple of months. Just before the start of the Triathlon Season, I went off to Italy to both go on holiday and to compete in the European Masters 10k Championships (I like to get value for money!). In this final road race before the wetsuit came out, I went off probably too quickly – running through the first 2k in just over 6 minutes. This early pace was forced by trying to keep up with some of the fastest 10k runners in Europe! Unfortunately it took its toll on this multisport athlete. I still managed a respectable 11th from a field of 42 and was the first British athlete home.